Today the FT847 is much improved following the installation of G4FUF’s superb internal LNA and PA1O’s PA modification plus the cutting of the “ALC limiting” wire. 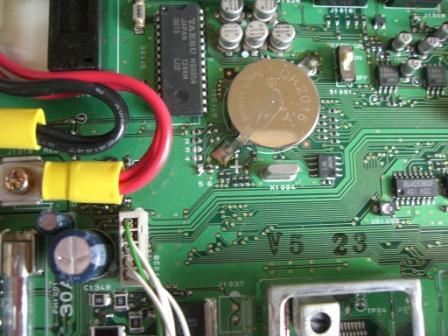 The next step was to locate the original BPF board, check out all the connections and carefully remove it. Here’s the completed G4FUF board. It took a few hours to assemble following the excellent step by step instructions supplied with the kit. 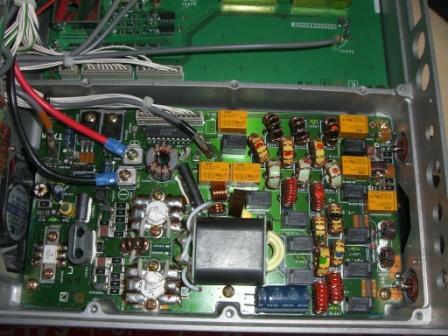 This shows the new pre-amp fitted and all the connections in place. Once the performance of 4M receiver side was improved the next step was to look at the transmit output power. As mentioned previously I opted to do the PA1O modification followed by the “ALC mod”. 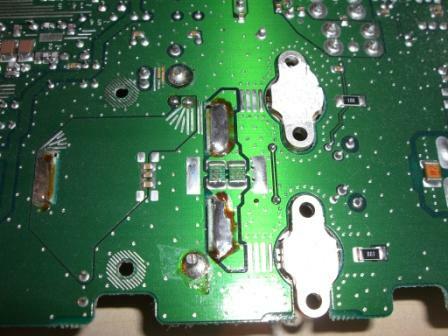 Here the PA board has been removed and is shown before the modification. 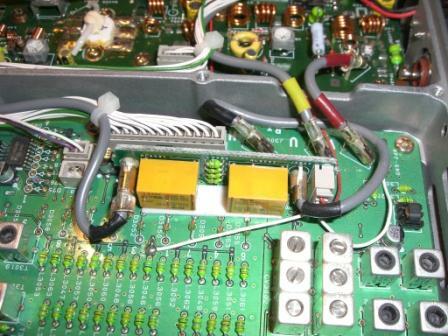 Once the PA board was replaced the ALC limiting wire was located and disconnected and the FT-847 was checked for performance on all bands. Following the modifications the rig now produces up to 65W output on 4M and the current drawn is much closer to what one would expect.